I think it is about time to share my absolute favourite cheese sauce recipe with you! 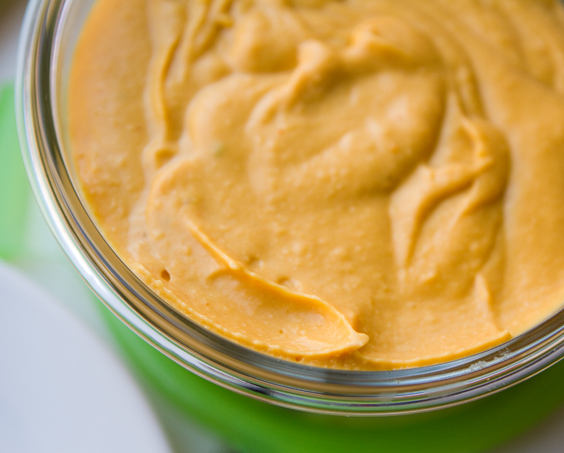 There are so many supplements available to buy vegan ready-made cheese sauce, but nothing has been comparable to this amazing recipe so far. 1. Peel, cube and cook the potato and the carrot. If possible, steam them instead of boiling them. 3. Blend 2-3 minutes until smooth and no bits left. 4. Move sauce into a container and leave in the fridge for about an hour. If you are using the sauce for a baking dish, such as mac & cheese or pasta bake, you can skip step 4 and use it straight away. I used it as a cheese sauce for my vegan burgers and therefore refrigerated it first to make sure that the sauce gets thicker during the cooling process. When refrigerated the sauce stays tasty for 4-5 days. Previous Post All things new!